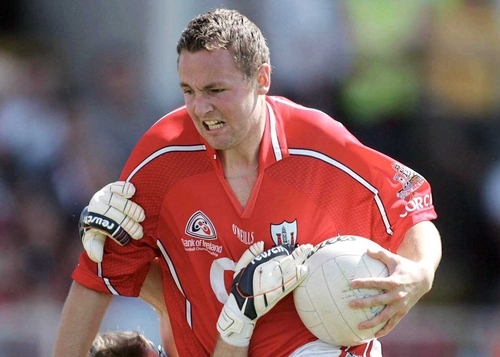 James Masters drove Cork on to their first Munster SFC title win since 2002 as he scored a goal and six points in their 1-12 to 0-09 triumph over arch rivals Kerry. The Nemo Rangers forward was the class act at Páirc Uí Chaoimh as Billy Morgan's side ended Kerry’s three-year dominance of the provincial final. In front of a disappointing attendance of 23,693, Masters netted after 21 minutes to help the Rebels go in at the break with a 1-04 to 0-05 buffer. Kerry, who replaced five of their starting forwards, got back to within a point, but tellingly they ended the final replay without a goal – it was the fourth successive championship match that the Kingdom have failed to score a goal in. Showing admirable pose and an economic distribution, Cork were quick to settle in the brilliant sunshine. Having gone 0-07 to 0-01 in front during the first half of last weekend's drawn game, Morgan's charges - with Anthony Lynch starting after his successful appeal against a ban - again looked the hungrier and Masters' goal came at an ideal time. John Hayes was the instigator. He replaced his fellow Cork under-21 attacker Fintan Goold at full-forward before the throw-in, and put Masters through on goal with a well-timed pass. Kerry 'keeper Diarmuid Murphy came out to narrow the angle but Masters, the scorer of 0-15 in his previous two games, rounded the Dingle clubman brilliantly before planting the ball to the net. The goal put Cork 1-03 to 0-01 ahead and a misfiring Kerry attack could do little to close up the gap. Even the mercurial Colm 'Gooch Cooper was buckling under the pressure – he managed just one point (from play) today, adding to the four frees he scored in his previous three outings. Kerry badly need the Dr Crokes marksman to hit form in the qualifiers – he scored a whopping 4-22 in last year's championship. This afternoon, he shot five wides and pinged a shot off the post. Darragh O'Se managed to bisect the posts just seconds into the second half to reduce the gap to a single point, but Kerry, who hit 15 wides to Cork's 13, just could not get any momentum. Their supporters simply failed to travel for this game in any great numbers, reflecting on the management's decisions to hold recent training sessions away from the public and not release details of their starting XV until shortly before the throw-in. Three points from Masters sent Cork into a 1-07 to 0-06 lead before Kerry boss Jack O'Connor made a flurry of substitutions. Team captain Declan O'Sullivan was among the players to be called ashore as Mike Frank Russell, Tommy Griffin and Sean O'Sullivan were given a chance to rescue the defending champions. Russell and O'Sullivan both managed to fire over points and Dingle man Griffin did fight off two Cork defenders before having his goal-bound shot smothered away by Alan Quirke. Masters added three more points to his tally in the final five minutes as he arced over scores off his left and right to hand the hosts a 1-10 to 0-08 buffer. Darren O'Sullivan crept over Kerry's final score, but not to be outdone, the Rebels added two more points with substitutes Kevin O'Sullivan and Goold on target. One worry for Morgan was the loss of full-back Graham Canty for the closing few minutes to a knee injury. But where exactly has the Cork team that struggled to beat Limerick last month gone? Only wily operator Morgan knows that answer and he will hope that this current Cork crop can continue their progress when they enter the All-Ireland's last-eight. As Munster champions, Cork will proceed with confidence but their over reliance on Masters will probably prove their downfall. 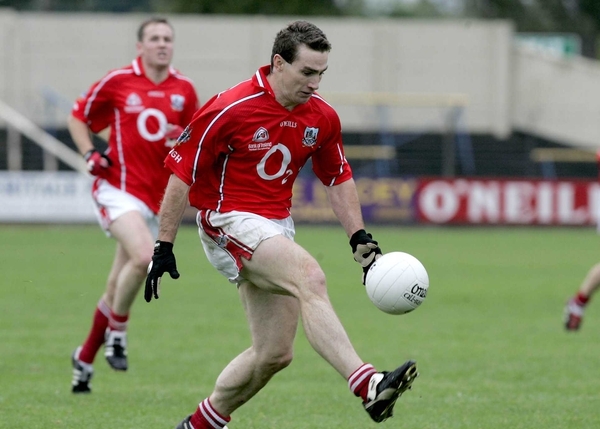 Cork: A Quirke; M Prout, G Canty, K O'Connor; M Shields, G Spillane, A Lynch; N Murphy, D Kavanagh (capt); S O'Brien (0-01), P O'Neill, K McMahon; J Masters (1-06 (2f)), J Hayes (0-01), D O'Connor (0-02 (1 '45')). Subs used: D Niblock for O'Neill, C McCarthy for O'Brien, F Goold (0-01) for McMahon, G Murphy for Canty, K O'Sullivan (0-01) for Hayes. Kerry: D Murphy; A O'Mahony, M McCarthy, M O Se; T O Se, S Moynihan, T O'Sullivan; D O Se (0-02), E Brosnan; P Galvin (0-01), E Fitzmaurice, Declan O'Sullivan (capt); C Cooper (0-01), B Sheehan (0-02 (2f)), Darren O'Sullivan (0-01). Subs used: T Griffin for Fitzmaurice, M Lyons for O'Mahony, S O'Sullivan (0-01) for Declan O'Sullivan, P O'Connor for Galvin, MF Russell (0-01) for Sheehan.